Regular imbibers of Nutmeg & Clove would know the bar is one to embrace Singapore's heritage through its array of invigorating cocktails. 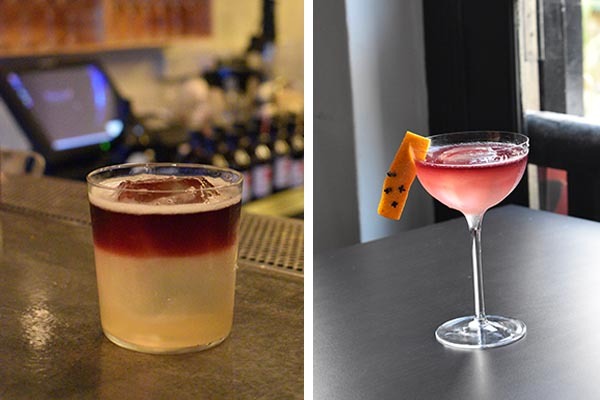 From drinks that reflect the nation's colourful eras to festive specials, such as the orangey Huat Ah!, offered during this year's Lunar New Year, the bar may perhaps be the watering hole version of say, CBD's Lau Pa Sat - something undeniably Singaporean. Giving a nod to the country's alias of Garden City, the bar has churned out 12 new cocktails that embody the natural biodiversity of Singapore. The inspiration came to Founder Colin Chia when he browsed through William Farquhar’s pictorial book Natural History Drawings: The Complete William Farquhar Collection: Malay Peninsula 1803-1818, which depicts beautifully drawn illustrations of Singapore’s flora and fauna. We were smacking our lips after several sips of the New York Sour. Concocted from Wild Turkey bourbon, fresh lemon and red wine, the Big Apple’s staple seemed to be unbeatable until we were presented the local version of the Straits Time Sour. The latter came out on top for hitting close to home with its spice notes from the cloves-infused botanist gin and basil syrup coming through. Mulled red wine is added to this mix.